Sometimes when I travel, I pick a city I want to visit and sometimes a hotel makes my choice for me. 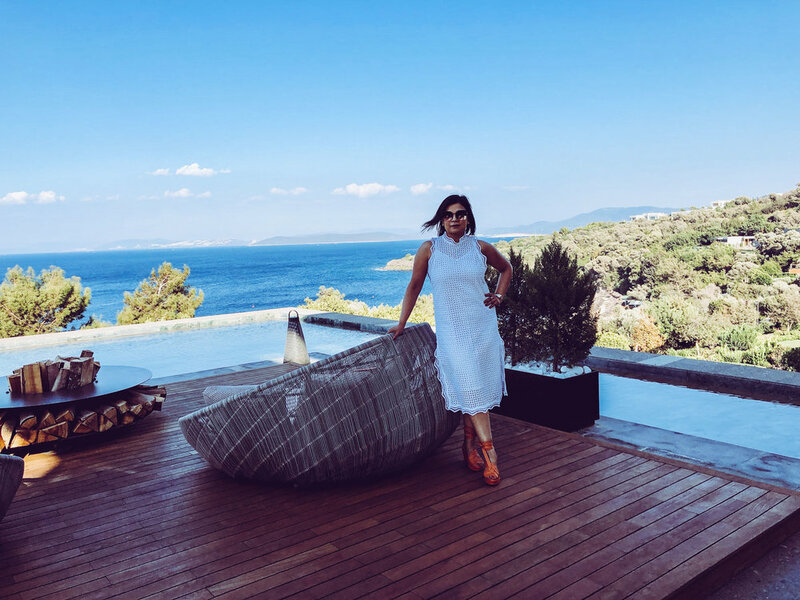 So last September en route to Istanbul, I spent a luscious four days in Bodrum at the Mandarin Oriental. You may have read my blog post last month on Budapest, where I was out and about, soaking up all I could about Hungarian culture and history. Not so at the Mandarin in Bodrum, Turkey, where there is no reason at all to leave the resort. Privacy is at a premium on the Mandarin Oriental beach. Here, the straw umbrellas, spaced apart so that you’re not hearing anyone’s conversation. All is quiet and serene. And did you know that the word turquoise was introduced in Turkey because of the color of its water and coastline? 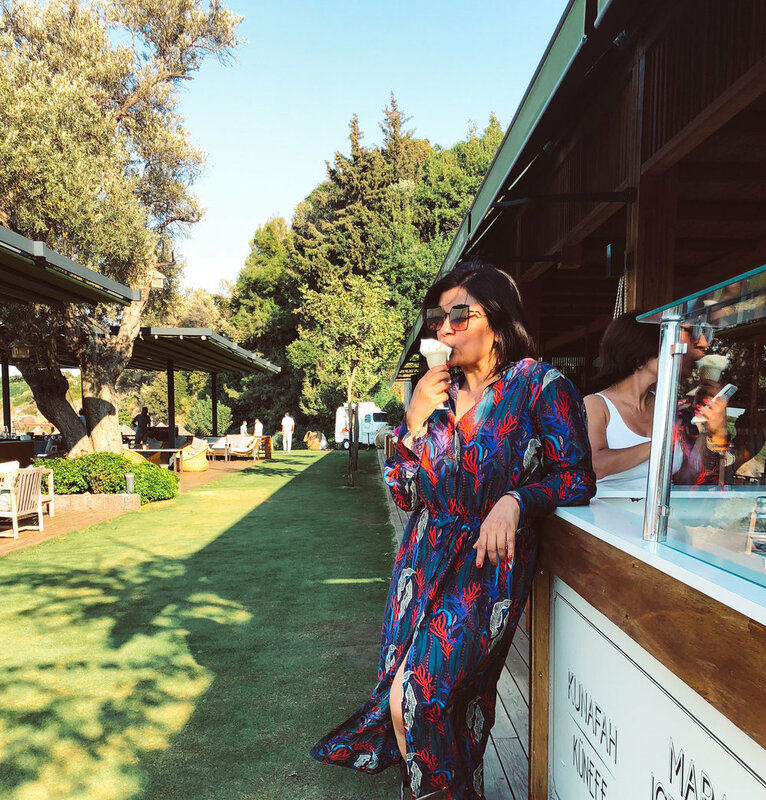 I laid on the beach in a gorgeous kaftan while chefs prepared meals just for me and licked some of that famous Turkish ice cream. Yum. 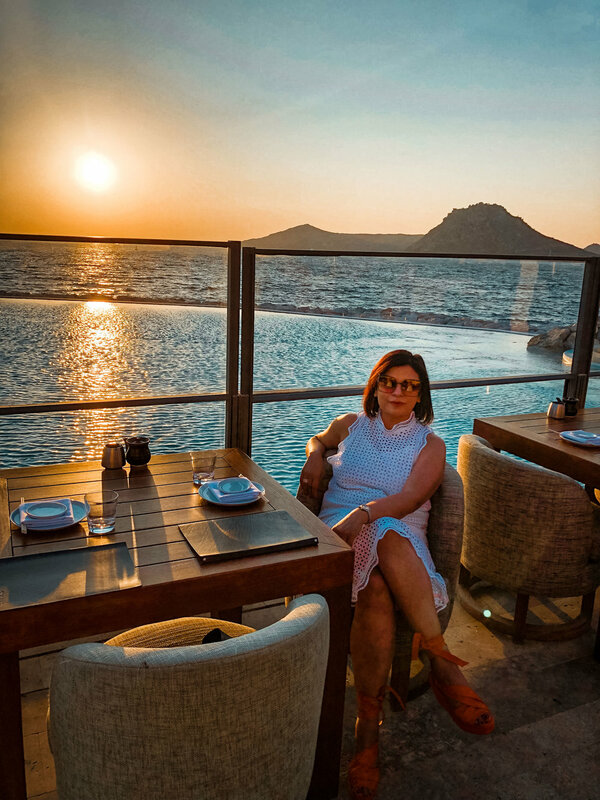 When we did venture off the grounds, we went restaurant-hopping on Palmarina Yalikavak— the marina—having drinks one place, dinner the next, coffee in another. I think we tried seven different places in one evening! One of my favorite outfits is my favorite orange Hermes espadrilles and the IRO eyelet white dress. It fit the bill for a walk on the marina. Breakfast is heavenly at the Mandarin Oriental, and, with a cost of many thousands of dollars a night, the service is likewise divine. They treat you like royalty; a girl really can get spoiled here. Where have you stayed where you’ve been treated like a queen?